This company is constantly winning drug approvals from the FDA. 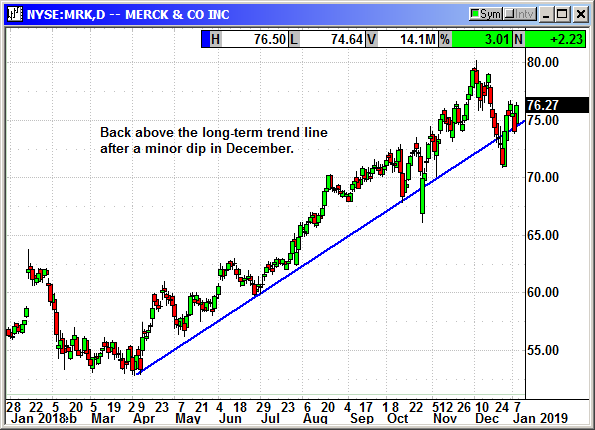 Hardly a week goes by that Merck is not announcing some new drug approval from the FDA or overseas counterpart. Buy Feb $80 call, currently 86 cents, no stop loss.